Whether you need roofing for your home or business, Andy and Staffordshire Brickies are here to meet all your roofing needs. Andy and his team have over 30 years of experience, with Andy himself being a graduate of the Cauldon College of Building; you can rest easy that his skills are top-notch for any roofing task. 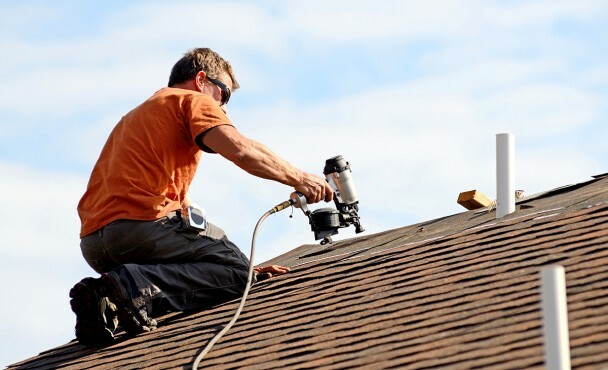 Finding someone to complete your roofing project that will not only do an excellent job but will work to an agreed time scale and charge fair prices is an almost impossible task. That’s why Andy is so proud to have such an outstanding track record with customers, always providing a high standard of work and charging fair prices for your roofing projects. Past projects for roofing in Staffordshire include an innumerable amount of houses, business properties of all sizes, and a variety of different outbuildings. Whether your roofing needs are domestic or commercial, Andy is the man for the job. If your roofing is currently damaged and in need of repair, it’s highly important that you get in touch sooner rather than later; the longer you delay, the more detrimental damage can occur to your property and its contents. However, this can easily be resolved by giving Andy a call and getting the repair on track, saving unwanted future damage that could otherwise cost you a lot of time and money. For any type of roofing project in Staffordshire, you can contact Andy here to have a chat and get a quote for the job – he’ll be more than happy to help or to answer any general questions you have. No matter where you live in Staffordshire, Andy and his team can cater to your roofing needs. As you can see from the map above, they’re located in Silverdale – prime position for those roofing jobs in Newcastle-under-Lyme, but easily extendable to towns throughout the whole of Staffordshire. So whether your roofing jobs reach as far as Talke or Stafford, or as near as Silverdale itself, Andy and his team would love to hear from you.